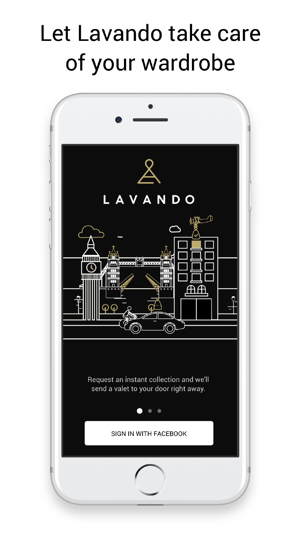 Lavando is truly on-demand so there’s no need to schedule – just tap when you need us and a valet will be at your door within the hour to collect your clothes. Every item of clothing is put through our six-stage cleaning process which includes hand-finishing as standard. This means that every item is pressed by hand and neatly packaged to ensure an impeccable finish. We specialise in high value and delicate items, but rest assured that all items receive the same level of care and attention. Once ready, we will courier your clothes back to you at your convenience, packaged and ready for safe return to your wardrobe. Download now and request an instant collection. 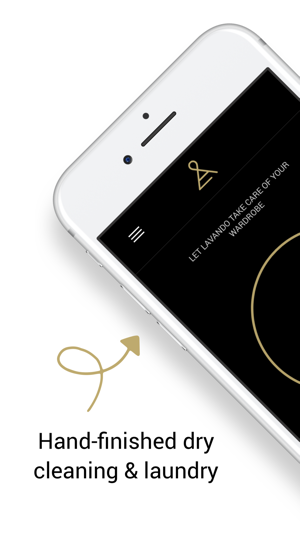 Lavando - the ultimate on-demand dry cleaning and laundry service in London. Best feature about their service is that you can request a pick up at anytime, and they’ll be at your door within an hour. No need to book a day and time slot, and you can also track your driver upon request to know how far they are, and check on the App later on how many hours left until your clothes are ready for a return. I’ve always been using other applications, but thought to check out what else is out there, and I’m very pleased to have found this! Saved me in my time of need! I’d spilt red wine down my Dior dress and Lavando collected from my door at 11pm when I got home, removed the stain and returned in a beautiful dress bag 24 hours later. This is as close as you can get to a magic wand for your dry cleaning! My clothes were collected within the hour and the quality of the service was great! App has a nice sleek design and easy to use. Truly feels high end and so practical.